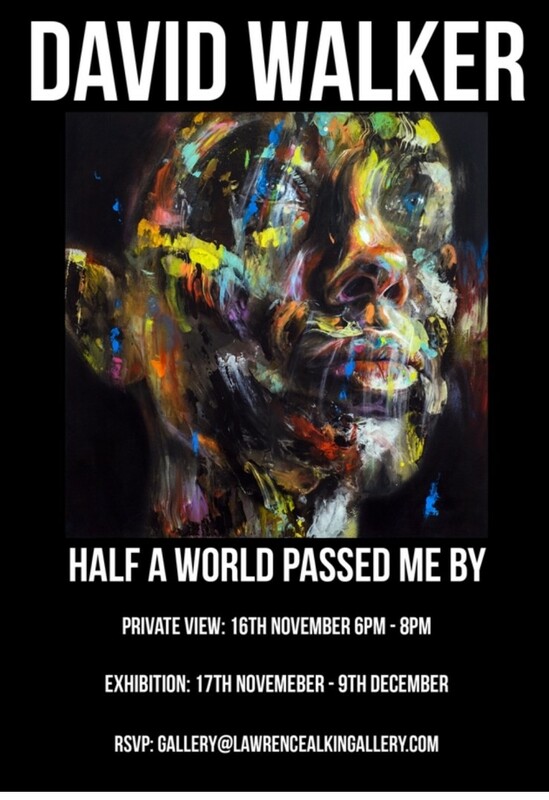 If you’ve not yet visited our final solo exhibition of 2017, 'Half A World Passed Me By' by acclaimed street artist David Walker, you have until Saturday 9th December. The exhibition has been very well received, garnering rave reviews across the art press. The all-new body of work sees Walker expand on his now iconic colourful portraiture and, for the first time, displaying a new body of text-based works. “I have been completely blind in my right eye since birth. It’s not common knowledge as I didn’t want it to be used it as a USP for my work. I also turned 40 last year, coinciding with one of the most difficult periods in my life for many reasons. In the aftermath, I feel far more fearless as a person and artist and far more comfortable to invite people further into my world." Using state of the art 3D technology we have captured ‘Half A World Passed Me By’ enabling viewers to experience the work as it is hung in our gallery in breathtaking detail. Many of the works have sold but on the 3D tour, you can easily see what’s still available. For any further enquiries please contact the gallery.